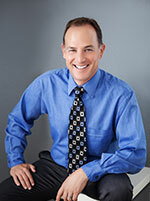 is a Partner and Regional Director of Vargo Physical Therapy as well as the director at the Valencia Vargo PT clinic. As a licensed Physical Therapist, Erik has been with Vargo PT since the clinic opened its doors in 2002 and through its expansion in 2009. He enjoys the daily challenge of helping each of his patients work toward success in their rehabilitation process. As a sports physical therapist, he has worked with a wide variety of patients from the young to the elderly and has done a significant amount of work with multiple sports clubs and local high school and collegiate athletes. Mr. Wolpert earned his bachelor’s degree in health science/physical therapy from California State University, Northridge. Prior to coming to Vargo PT Mr. Wolpert worked at the UCLA Medical Center. Before that he travelled throughout the United States as a contract physical therapist. As a specialist in hip rehabilitation, he authored the article “A Rite of Passage: Surviving Initiation to the ICU” which appeared in Acute Care Perspectives. He also co-authored a chapter in Hip and Pelvis Injuries in Sports Medicine, a medical textbook. He is an ASTYM certified clinician and holds a certificate in CPR. Married to a physical therapist, Mr. Wolpert has two daughters. When not with his family, he enjoys golf, hiking, recreational sports, exercising and traveling.